Tatsuo Shimabuku (Shinkichi Shimabuku) was born in Chan, Okinawa on September 19, 1908 and died May 30, 1975. 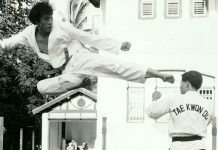 He began his study of karate at a young age as the pupil of his uncle. Several years later, feeling that he had taught Shinkichi as much as he could, his uncle sent him to study with Chotoku Kyan. Sensei Kyan was already famous throughout Okinawa as an instructor of Shorin-ryu Karate. Being a poor farmer, Shinkichi would walk the long distance to study with Sensei Kyan for several hours each day, then return home to complete his chores. He did this for approximately four years. 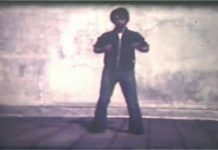 He later studied karate with Chojun Miyagi of the Goju style of karate, learning at least two kata that he later incorporated into Isshin-Ryu. Those kata were Seiuchin and Sanchin. 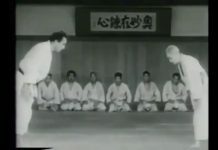 He trained with Choki Motobu, who was one of the greatest fighters in the history of Okinawa, learning Naihanchin kata. 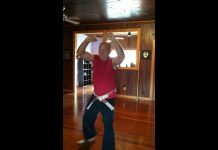 He also took up the study of the bo and sai, as well as the tuifa forms from Taira Shinken, one of Okinawa’s leading kobu-jutsu instructors. During and after WWII, he and his family lived in Japan. He returned to Okinawa in 1947 and began teaching karate. It was also at this time, at the age of 39, that he took the name Tatsuo, “Dragon Man”. The taking of a karate name is an Okinawan custom. 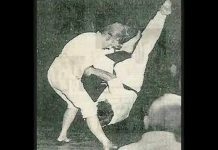 During the next nine years, Tatsuo Shimabuku experimented with karate techniques. He was an innovator, never satisfied with following the crowd. On January 15, 1956, he held a meeting to discuss his new style of karate, which he decides to call Isshin-Ryu. 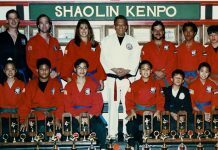 Many of the senior instructors of karate on Okinawa at the time did not agree with Master Shimabuku’s decision or his new style. Although he was sometimes shunned, and Isshin-Ryu was not officially recognized for many years, he persevered. 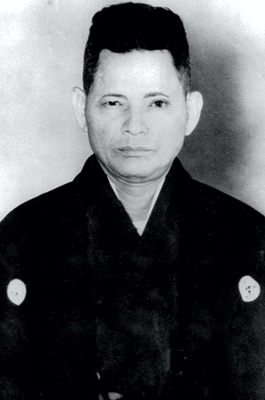 It did not help the cause either when Master Shimabuku’s students would win local matches and fights. During the 1950’s and 60’s, Master Tatsuo Shimabuku was hired to train the US servicemen stationed there. Master Tatsuo Shimabuku continued to experiment and challenge the traditional concepts of karate until he retired from active teaching in 1971. Those fortunate Americans who were able to travel to Okinawa and train with Master Shimabuku will tell you of a man who enjoyed sake and cigarettes, and loved to joke. They will also tell you of a phenomenal martial artist, who struck awe in his students.